Treasury Secretary Steven Mnuchin on Saturday said he has “not personally spoken” to Attorney General William Barr about a congressional request made by Neal for Trump’s tax returns. When asked by CNN, the secretary told reporters that the Treasury’s Department’s legal office has been in consultation with the Justice Department’s lawyers. When asked by CNN whether he would be able reconcile concerns around the constitutionality of the request by Neal’s new deadline of April 23, he said, “I’m not going to make a commitment prematurely as to whether we will be able to conclude our legal review within that deadline or not. Obviously, given the importance of this issue we have people working on this diligently. But again I would just emphasize this is a decision that has enormous precedence in potentially weaponizing the IRS. The letter comes just days after the Treasury Department told Neal that it would not meet a one-week deadline to turn over the President’s tax information and that it would instead consult with the Justice Department before responding further. 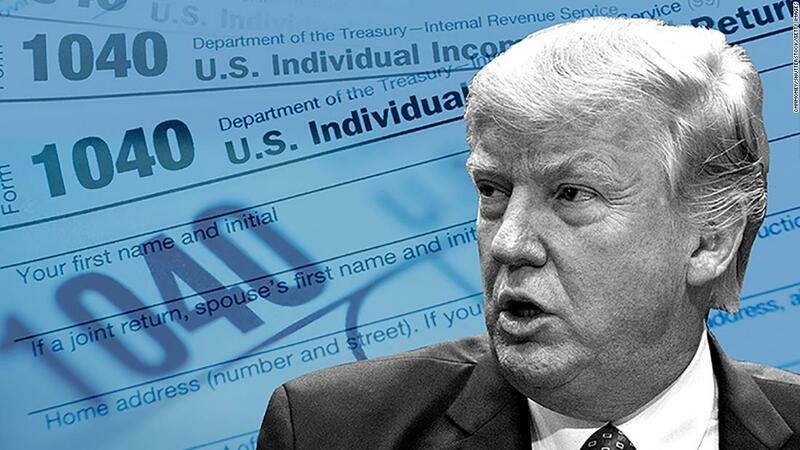 Democrats believe they have the power under IRS code 6103 to request Trump’s tax information including, but not limited to his tax returns. The law states that three people: the House Ways and Means chairman, the head of the Joint Committee on Taxation and the Chairman of Senate Finance can ask for anyone’s personal tax information for their committee’s use. Neal has argued that the committee needs Trump’s tax information in order to conduct oversight of the Presidential audit program, a program that is not enshrined in law, but instead has become a routine procedure at the IRS that when a new President comes into office. The back-and-forth is just the beginning of a fight that has long been anticipated to weave its way through the courts. Democrats argue that 6103 requests are made all the time and are routinely handled through the IRS, not under the supervision of the treasury secretary. Republicans have dismissed Neal’s request as unprecedented and political. Mnuchin himself has argued that requesting the President’s personal tax returns now rises to a level that he needs to be involved.